Current first year student and promising Diver Emily Martin met with Their Royal Highnesses The Duke and Duchess of Cambridge, William and Kate, and double Olympic champion Lizzie Yarnold on 22nd March 2018. The event allowed The Duchess to meet young athletes like Emily who are supported by SportsAid, the charity The Duchess is a patron of. 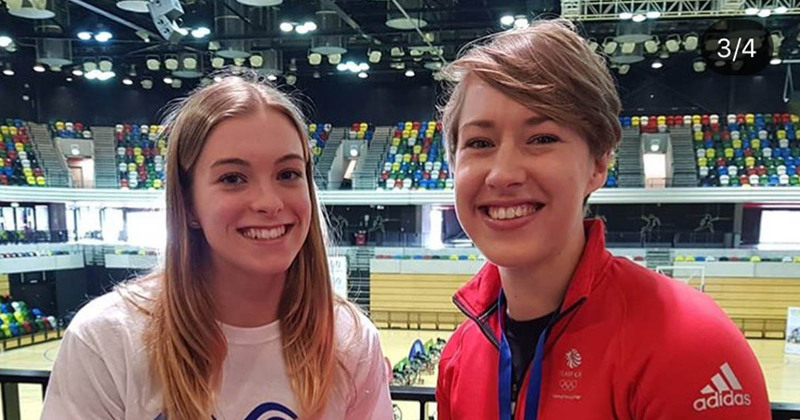 The former Hounsdown School pupil met The Duke and Duchess inside the Copper Box Arena, in the Olympic Park, after Lizzie Yarnold had taken part in a session teaching Emily and her fellow young athletes how to tell their story to a wider audience using the media. Emily has recently competed in the Kuala Lumpur and Singapore Grand Prix, at the start of what promises to be a very exciting future in sport.